As an avid baker it's great fun to hang out in the kitchen crafting while a pie bakes. My new Great Big, Wonderful World collection of crafting dies have just released from Spellbinders giving me the perfect excuse to do just that! This is such a busy week it was heavenly to simply play. I allowed myself half an hour to give the kitchen a face lift. With just that sliver of time, I wiped down the countertops and cabinets, cut the paper and decorated the storage jars. After the flurry of Christmas baking, this was my perfect little half hour holiday! I designed this die with a banner that can be left blank for flexibility. Little did I know how perfectly it would work as a label in my kitchen. I love using things in unexpected ways; it cheers me up to make my whole home a canvas. And it makes my thrifty soul joyful when a few scraps and my trusty opaque white UniBall Signs pen can give the kitchen a mini-makeover! 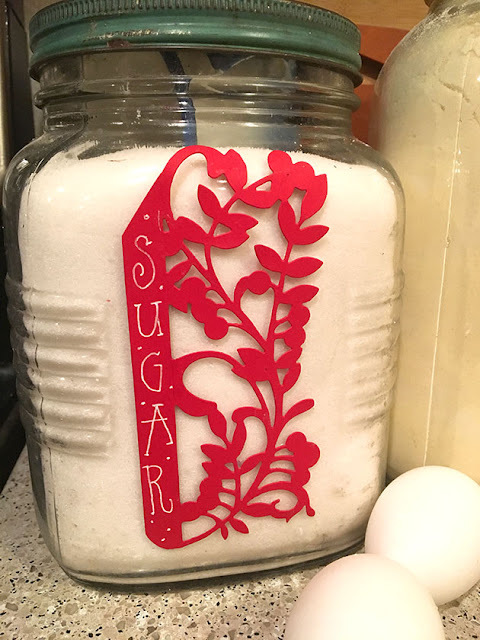 For the sugar storage jar I happened to have half a gatefold-style greeting card left over. This one is from my Sweet Christmas collection. So I turned it into a label. Why not? I always feel free to combine different dies. Mix and match is my style. As a celiac baker, I'm loving this little project. 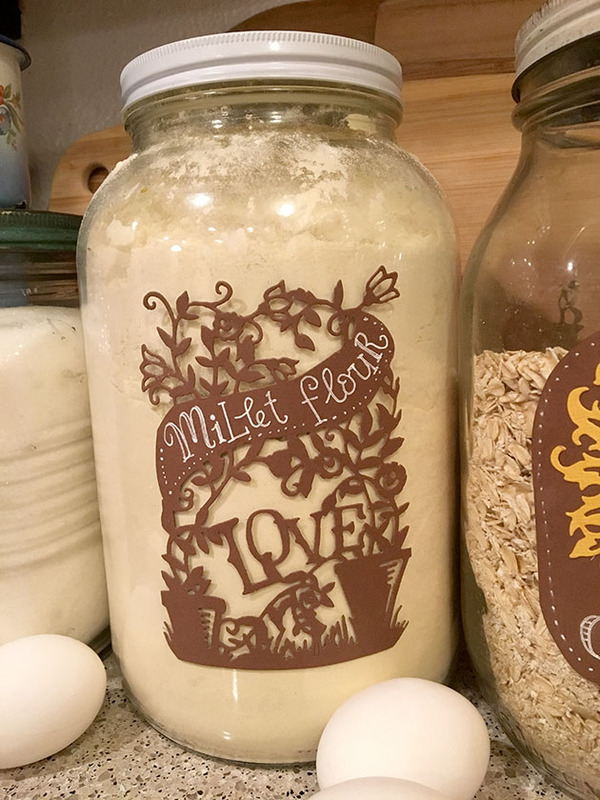 The pretty labels will keep my kitchen both organized and creative. This blog post is part of a Spellbinders blog hop. You can see more at the next blog on the hop by clicking here. Or visit Spellbinders Paper Arts to shop all my current die cut collections. WOW! These jars are fabulous! WHAT A GREAT IDEA!!! I keep all of my baking, etc. things in jars to keep out bugs, so now I want to make them cute like yours! Fun way to alter jars! Such a fun idea for these wonderful new dies. Love this idea. What a FUN way to use die cuts!! So cool! Now that sure makes a happy kitchen. Love how you used these die cuts. I never think to decorate household items, but your jars are so sweet with these playful cutouts. Thanks for the cute idea. 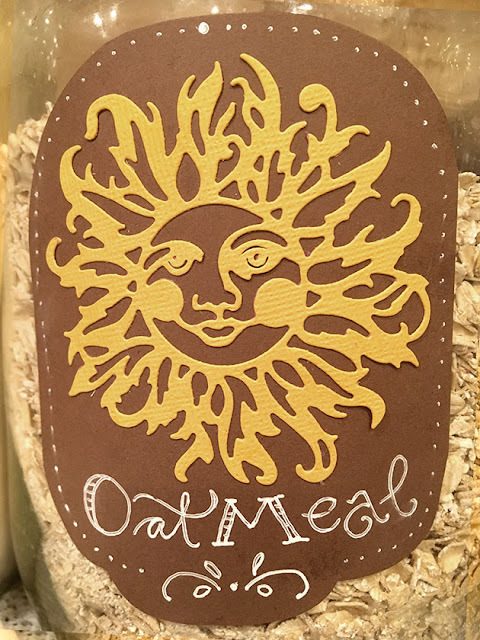 Such a unique way to make some pretty labels! Love these dies. Very stylish. Great for Christmas giving. Oh My Goodness, what a splendid idea and a fun way to spice up your kitchen! What a great way to use the new dies and are great for creating beautiful Christmas gifts. What a wonderful idea! So creative! Love the idea of decorating storage jars. 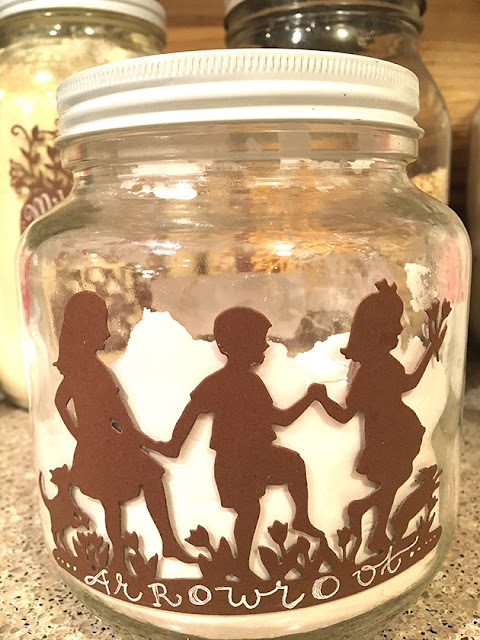 Great idea TFS now i'm going to decorate my jars. Oh my! What a cute way to use those dies! I love those labels! What a neat way to use your dies. Good job! What a great idea! I love to decorate the simplest of things and you have inspired me with your ideas. 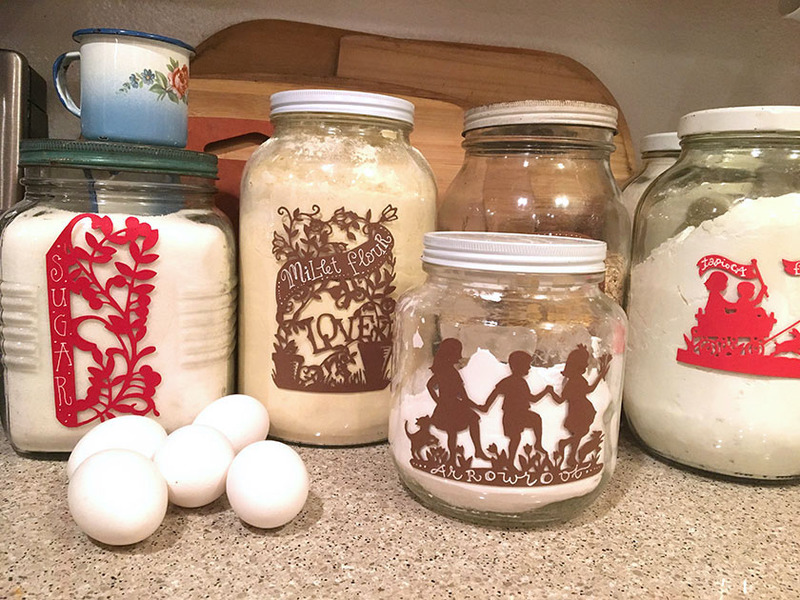 Love how you decorated your jars with your fabulous collection of dies! Such a creative use of these new products. Love these beautiful silhouette images! Fabulous projects! Fantastic die designs and wonderfully creative application! Love your projects! Love the new dies. 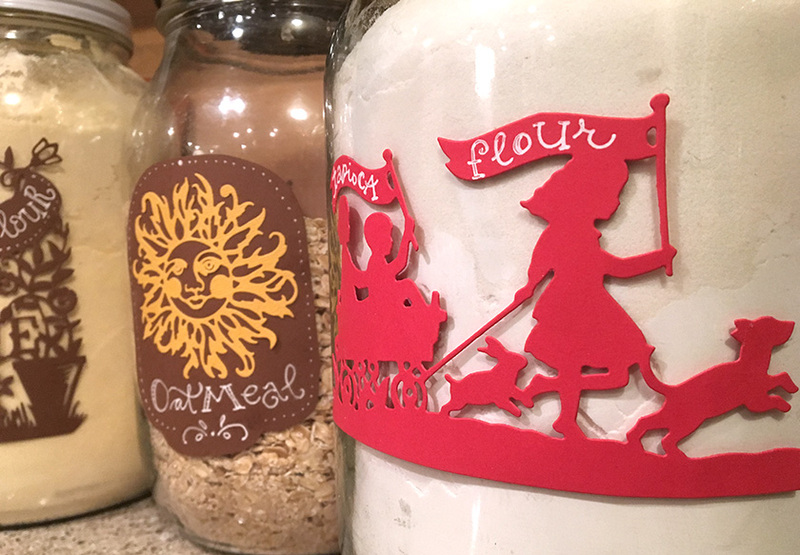 You are so creative using them to decorate your pantry containers. Love your nature walk and your new pup is adorable. 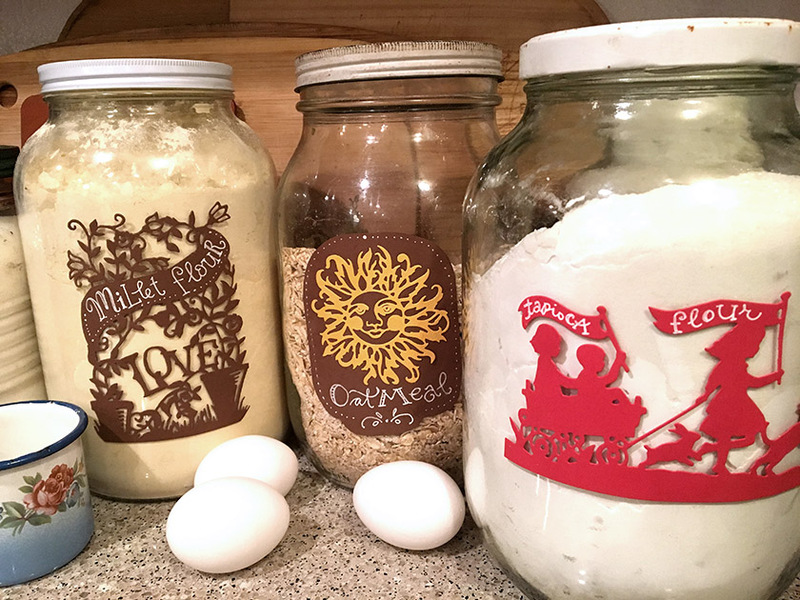 Your jars are beautiful and fit perfectly in your country home. What a wonderful way to display your pantry with beautiful labels. I bet your family really complimented you on your job. I am in love with your walking buddy and new puppy. I do envy you for living up north as I do miss it and loved all seasons. Could not really tell you a favorite. Each one had such beauty and meaning. Your description is so great I could close my eyes and see it all. Thank you for posting this.